There are more pictures of the event in our facebook photo album. Round 3 of the THORL 2015/16 season took us to the home of SCHORC, in Yelling Cambridgeshire. 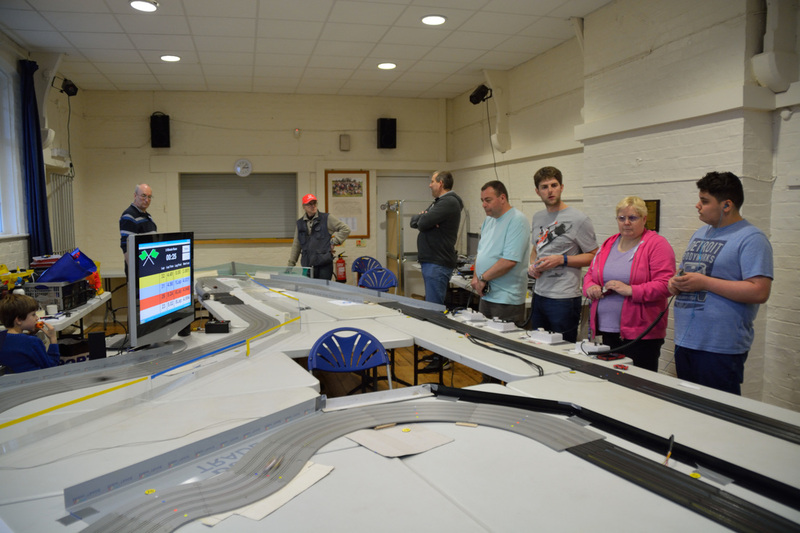 Al and Tony constructed a brilliant track based on the famous Spa​ race circuit. 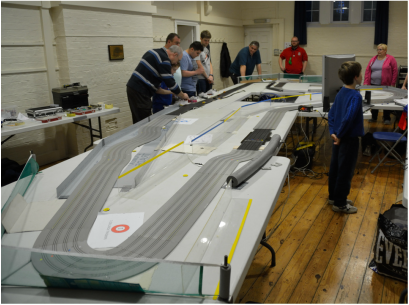 Racing soon ensued and it soon emerged that Larkfield's​ dominance with the new Mega G+ was to continue. This time Ash was using a new 3D printed McLaren body. The track was a superb layout, with plenty of areas to test the handling of your well prepped car!! The Chicane was where everyone, at some point fell victim. 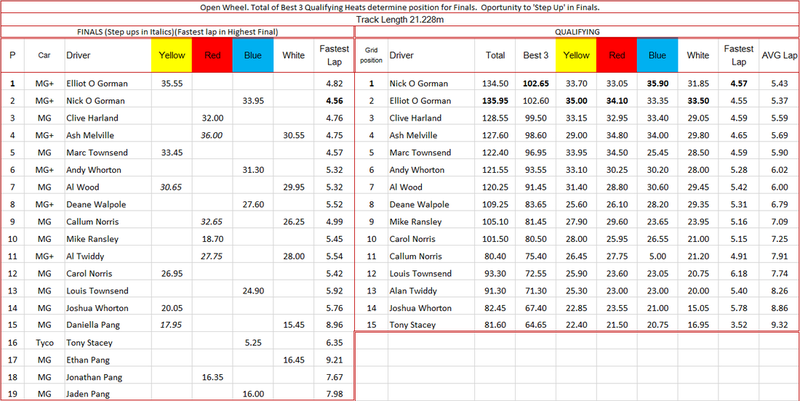 Top Qualifier in open wheel was Nick, followed by Elliot by only one twentieth of a lap. 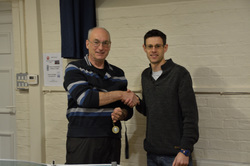 Clive took the 3rd A final spot. Visitors to the hall were welcomed in and joined the action in the Finals. Daniella, assisted by driver mentor Alan, was the first to step up, beating Dad and her 2 Brothers. Alan was required to race in the next heat, so Dad Jonathon took over, Al went on to win the E Final. 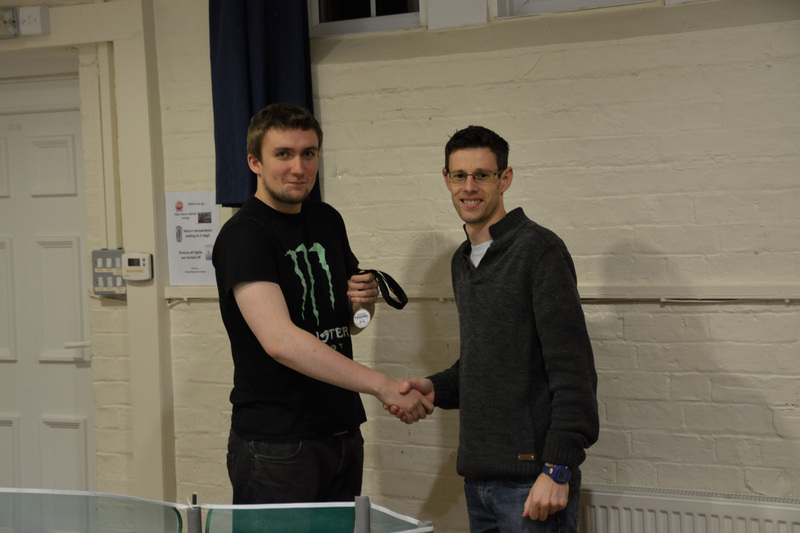 Winner of the Subsequent finals were​​ Callum (D), Al Wood (C) and Ash in the B Final. Ash joined fellow drivers from Larkfield Nick and Elliot, with Clive representing FLBT. The afternoon commenced with the heats for Grand Touring and Le Mans ​Classes. In GT, Callums cars were mighty quick, when they were on the black stuff. Al looking on at a car which was as quick as his once was! Als pace was consistent, and it showed over all 4 lanes, but nothing could keep the pace of Callums Marchon. The Le Mans cars were dominated with AFX Mega G Audi and Peugeots. The GT Finals started with Andy against Juniors Josh​ and Louis. 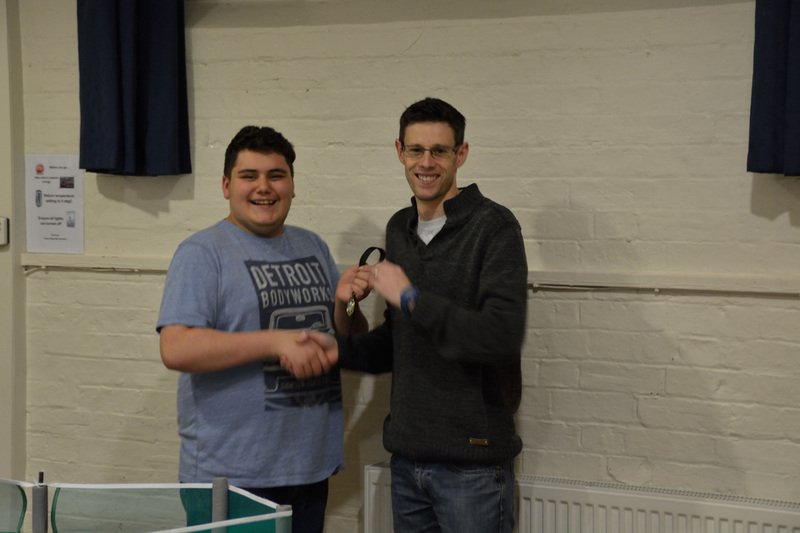 Andy had picked the incredibly difficult White lane and this allowed an overjoyed Louis to win the B GT final, and take part in the A. 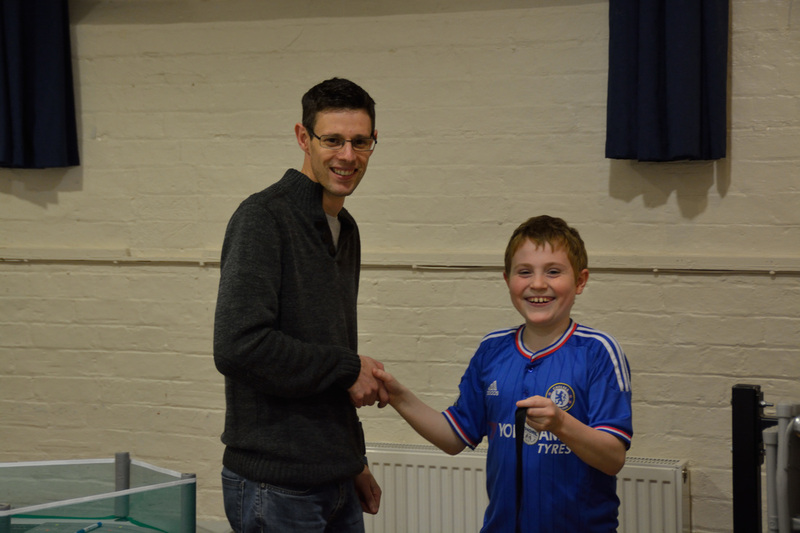 The GT A final was a battle against the Marchons of Callum and Al W, vs Clive and Louis. All Callum had to do was keep it in the slot. And that he did. A dominant performance saw him take ​the GT A final Win. 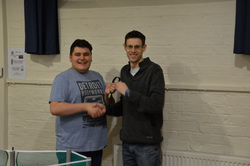 The Le Mans Finals followed with Carol winning from Mike in the C Final and Marc winning the B Final. 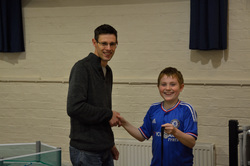 Larkfields Mega G+ dominance​​ continued with Elliot taking his second win of the day, again from Nick. Al T and Marc rounded out the rest of the LM A Final. To finish off the day, PRO MOD took place with Alan, Clive, Callum and Mike. This was a VSR V1 vs Wizzard Battle. 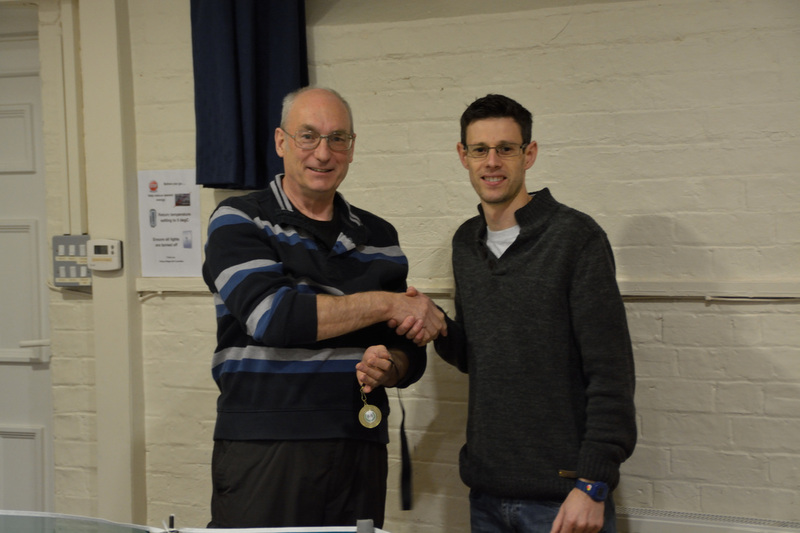 4 heats, of 2 minutes each saw Clive lead early on with his Wizzard from Alan and his V1. Heat 3 saw Alan take the lead, which he took into the 4th and final heat. Medals were awarded to the winners Elliot, Callum and Alan. Louis was awarded best Junior. Many thanks go to Al Wood and Tony of SCHORC for hosting and setting up the track. Open Wheel race results. Click to get a bigger image. Excel file at bottom of page. GT and LM results. Click on the image to make it bigger. PRO MOD. Click on the image to make it bigger.